Aluminium Bahrain B.S.C (Alba), a pioneering smelter in the Middle East and one of the world’s leading aluminium smelters, participated in the high-level meeting ‘Aluminium Industry Challenges and Strategy for Executives’ organised by the Gulf Aluminium Council (GAC) from November 25 to 27, 2015 in Dubai, UAE. Alba’s Chief Executive Officer, Tim Murray, Chief Finance Officer, Ali Al Baqali and Chief Marketing Officer, Khalid Abdul Latif were amongst the key attendees of this event. Mr. Murray was a key note speaker at the ‘Aluminium Industry Challenges and Strategy for Executives’ meeting, where he presented the ‘Financial Aspects of the Industry’ and covered various aspects to include the aluminium smelter economic outlook, comparison of operating and capital cost in the Gulf region versus Global, the importance of cost reduction as well as impact of recent economic conditions on the aluminium business. “We thank the Gulf Aluminium Council for this meeting, which was an ideal platform to share our ideas for a better future of the aluminium producers, especially in light of the global crises faced by the industry today. 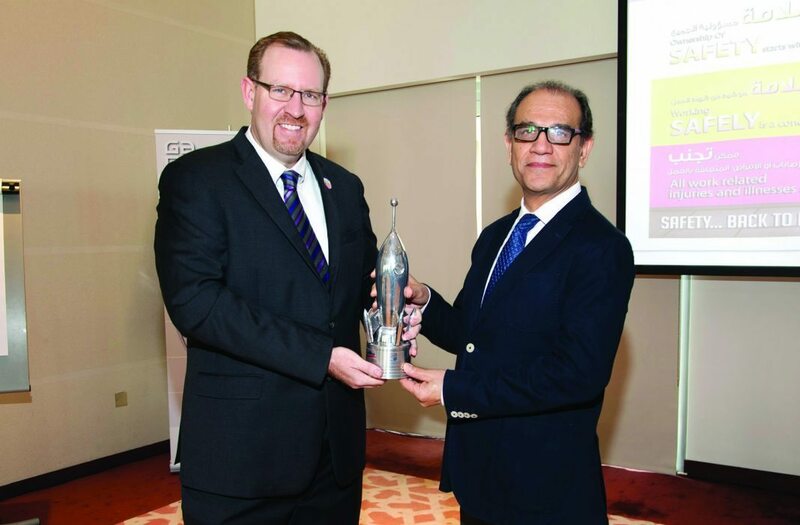 At the ‘Aluminium Industry Challenges and Strategy for Executives’ meeting, Alba’s CEO Tim Murray presented Mahmood Daylami, Secretary General, GAC with a token of appreciation.